Remember Mary Kay or Avon? These companies put bread on the table for hard-working women and their families. In fact today’s modern woman cannot always work a 9-to-5 job, and that’s precisely why Stella & Dot founder and CEO Jessica Herrin set out to create a company that was flexible enough for the modern woman to build a business for herself without working 9 to 5. As she says, “9 to 5 just doesn’t flatter.” Herrin is a successful serial entrepreneur having started the company known to many now as WeddingChannel.com, the first company to put wedding registries on the web. (It was sold to The Knot in 2006.) Her second company was Stella & Dot. Stella & Dot’s business model—where women host parties within their homes and sell the Stella & Dot products (mostly jewelry and accessories)—is catching on like wildfire. Engaging communities is an important aspect of customer acquisition—today a company’s share-ability factor is everything because customers talk. 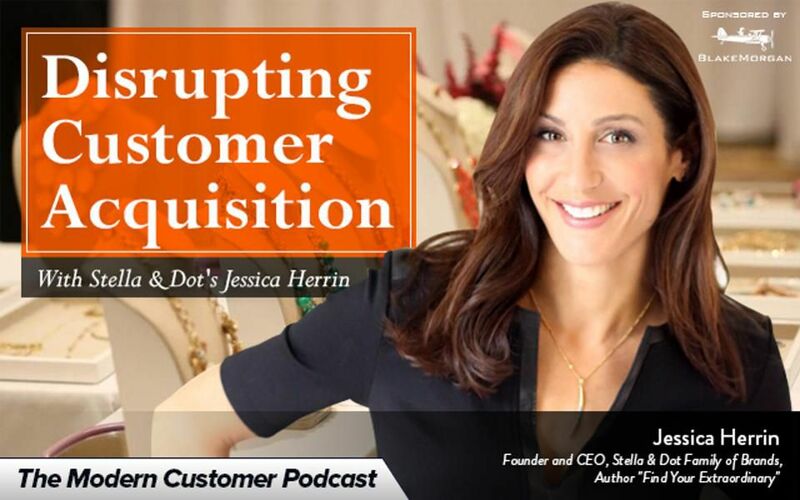 Jessica Herrin is a CEO on fire recently starring in an episode of Undercover Boss where she does things like spend a day undercover working in the Stella & Dot “Delight Center” (contact center) and as a Stella & Dot jewelry maker among other tasks. She has a new book out called Find Your Extraordinary: Dream Bigger, Live Happier, and Achieve Success On Your Own Terms.